Two recent changes, one legislative and the second administrative, have the potential for a significant cash flow impact on nonresident taxpayers selling U.S. real property. As we’ve previously discussed, there are withholding tax implications attached to nonresidents selling U.S. real property under the Foreign Investment in Real Property Tax Act, or FIPTA (http://kvdb.com/what-you-should-know-before-selling-us-real-estate/). On December 18, 2015 President Obama signed into law the “Protecting Americans from Tax Hikes Act of 2015” which included changes to FIRPTA. As part of these changes, the FIRPTA withholding on the sale of U.S. real property was increased from 10% to 15%. An exception to this increase was also included in the legislation which retains the 10% withholding rate on the sale of property for less than $1Million dollars where the purchaser intends to use the property as a residence. This means that most sales of investment or rental properties, and all property sales to other nonresidents, will see the tax withholding increase by 5%. While this may not sound like a large increase, recall that the withholding takes place on gross proceeds (i.e. the sale price). For example, the sale of a property for US$300,000 where the purchaser does not intend to use the property as a residence will see the tax withheld increase from US$30,000 to US$45,000. Compounding the potential cash flow impact from this increase in withholding tax is an administrative program instituted by the IRS late last year which is increasing the time it takes for the Service to issue a refund. 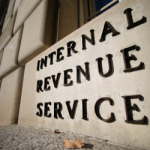 The IRS has indicated that the purpose of this program is to verify that tax amounts withheld were actually received by the IRS prior to issuing the refund, and that the program targets all nonresident returns requesting a refund of withheld taxes (i.e. 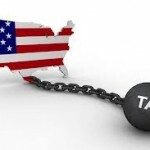 not just tax withheld on the sale of US property, and not just individuals). Note that we have found that even in those instances where we know for certain that the withheld tax was remitted; the requested refunds are still being caught up in this program and delayed. Initially the IRS stated that refunds would be delayed up to 6 months from the later of the date the return was filed, or the due date of the return, however they are now indicating that it may take up to 12 months from the later of those two dates before a refund is issued.. The combination of these two changes will mean that a nonresident taxpayer selling U.S. property needs to be aware of the fact that they are likely to have more money withheld on the sale and that they will be waiting much longer to receive any refunds of withheld tax in excess of their actual tax liability.